The infestation of Burmese pythons to the Florida everglades has been a monumental problem that threatens wildlife up and down the ecosystem. For years the state has worked on unique ways to eradicate them. 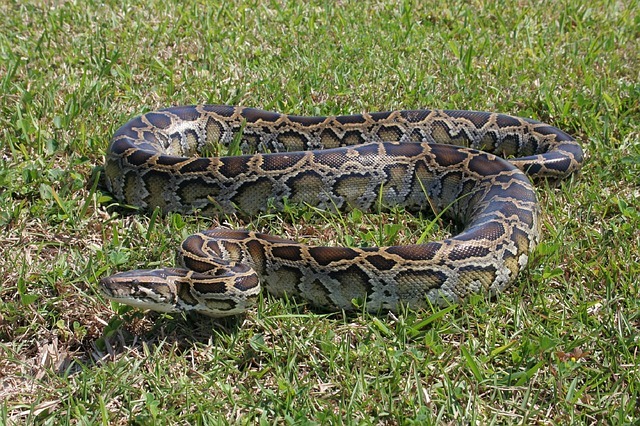 Now officials have turned to one of the most creative methods yet to combat the Burmese python by hiring a pair of Southern Indian tribesmen known for their snake tracking abilities. And so far it’s working. The Miami Herald reports on the University of Florida program to sponsor two Irula tribesmen among India’s famed snake hunters, and two translators for two months. In just the first two weeks, they have caught 14 pythons, according to the paper. Compare that to last year during the annual Florida python challenge. That’s when wildlife officials encouraged individuals to hunt the biggest pythons they could find for a prize. In that contest it yielded 106 snakes in more than a month. The year before saw just 68 taken. Chances are the tribesmen may have a leg-up on everybody. And it’s not because of any special powers either or some sort of voodoo magic. They simply know what the look for. In fact, these tribesmen don’t even normally hunt pythons. They are renowned for hunting native cobras, but much of the signs are the same. They move slowly across the ground looking for ripples in the sand or pathways through the brush. Instead of searching near bridges and culverts where crews have typically found them, the tribesmen look in the high grass, a strategy that’s reportedly paying off.